bill has the highest for 50-5 on a pub server gf even with higher ping. 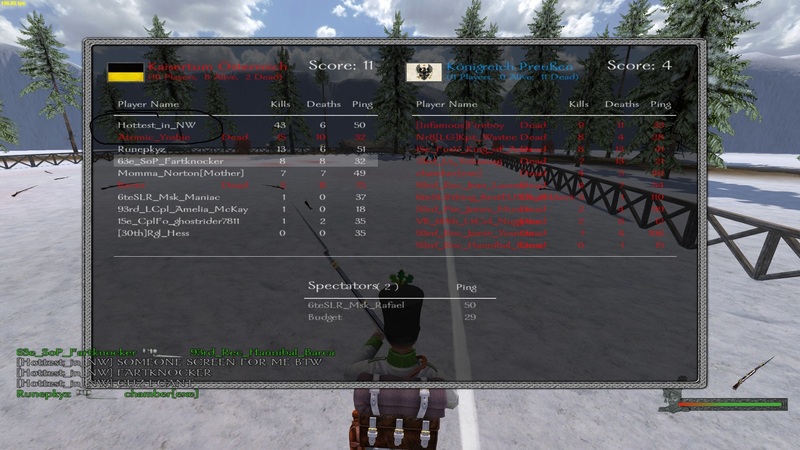 bill did it against a bunch of a noobs who cant block + server had 2x as much people on each team. bill is better than you and has done better than you bottom line. The person top of this screenshot on the opposing team is an EU, yikes that's a weak flex. edit: A lot of people left and I had to kill teammates trying to tk on purpose if u rly need to know. Also, why are you here and not shitting the bed on native and sucking off euros in my NA clan?